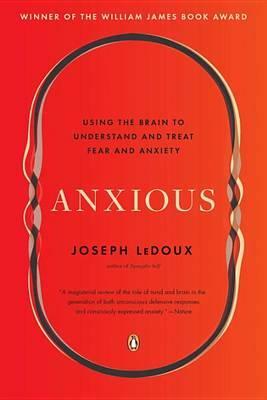 LeDouxâ€™s groundbreaking premise is that weâ€™ve been thinking about fear and anxiety in the wrong way. These are not innate states waiting to be unleashed from the brain, but experiences that we assemble cognitively. Treatment of these problems must address both their conscious manifestations and underlying non-conscious processes. While knowledge about how the brain works will help us discover new drugs, LeDoux argues that the greatest breakthroughs may come from using brain research to help reshape psychotherapy. A major work on our most pressing mental health issue, Anxious explains the science behind fear and anxiety disorders.